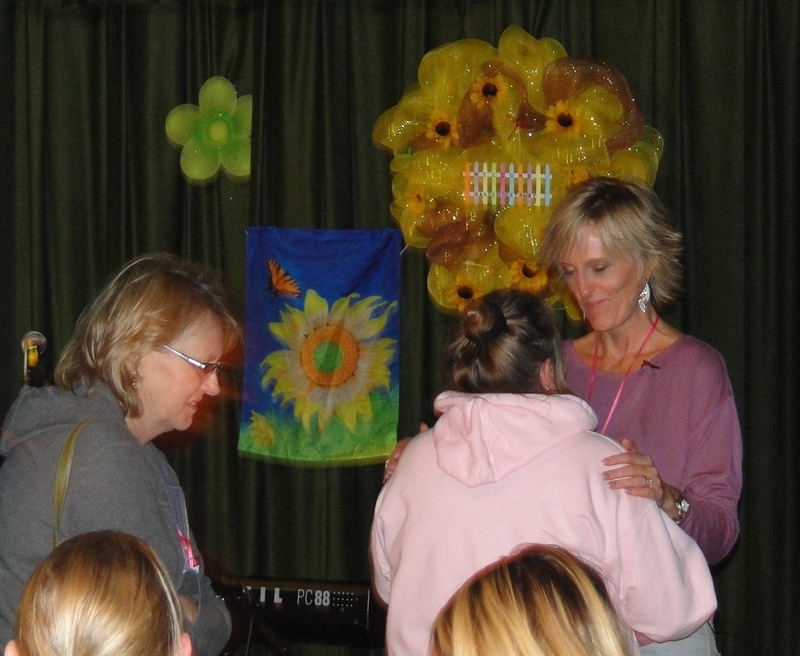 I love to use my expertise to minister to God’s girls of all ages. The message of Confident Beauty is reaching the very core of women’s hearts and setting them free to truly BE who God designed them to be and I would love to share it with your group! There is a number of ways I can do this and I am very willing to work within your budget and to enhance your theme. This message is especially powerful when women are able to get away on some kind of retreat with time enough to seek God in between sessions. Even if it is a one day event with time set aside for alter ministry. Image is a very personal topic and I like to make myself available to your girls for private conversation and prayer. My passion is to teach the Biblical concepts of hope, healing and wholeness and if you have a group of ladies hungry to receive from God what He has shown me, then I am willing to make a way to assist you in your ministry to them. Endorsement of my books is my main expectation. Image and grief issues tend to be my most requested topic, but they are certainly not my limit. For topic titles and ideas download the brochure. When speaking on the Beauty Battle or any Image Issues, I may or may not assess your guests Img.IDs depending on the amount of time and what we decide together. Click here for more info or to contact me. Many women pay thousands of dollars for image coaching. I generally charge $300 – $600 for an individual consultation but am willing to give your entire group (with a 1 hour powerpoint presentation) for $597 (That’s only $19 per person for a group of 30!) Feel free to charge 30-80 per person and keep the difference for your charity, ministry or association. I do request endorsement of book sales, travel fees and social media promotion. Click here for more info or to contact me.